Recently we were engaged to work as a subcontractor to a pipe lining company on a local government Stormwater drain, the job requirement was to root cut cleanly a 525mm RCP in preparation of a liner, the section of pipe that had to be cut was under a deck and extremely close to the foundations of the house, this meant a dig up was not an option. The preference of the local council was to do work without performing an entry. We were requested to utilise our large chain flail to remove the tree roots. The trenchless contractor had received the job from council after it had been root cut and surveyed by the drainage maintenance contractor. Due to large radial displacements and changes in pipe size between 450mm and 525mm we were initially unable to get chain flail through to the root entry. The change in pipe diameter was located, and it was far enough from the house and the deck that it could be dug up dug up with minimal disturbance to home owner, the drain was excavated and a pit was installed for access. 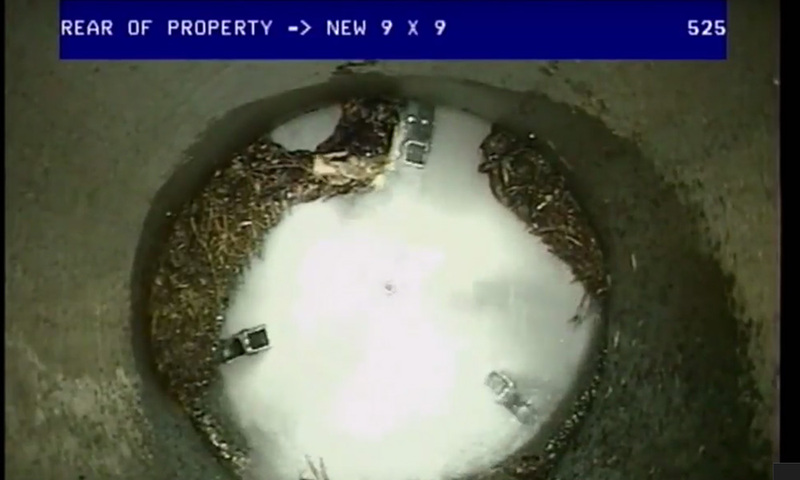 After the pit was installed we completed the work using the chain flail, in conjunction with our customers tractor camera to view the root cutting, this allowed us to view in real time what the nozzle was doing in the pipe. The root entry was cut back to bare pipe and the drain could be lined successfully, with minimal disturbance to the resident. This provided our customer, and the council the result they wanted.